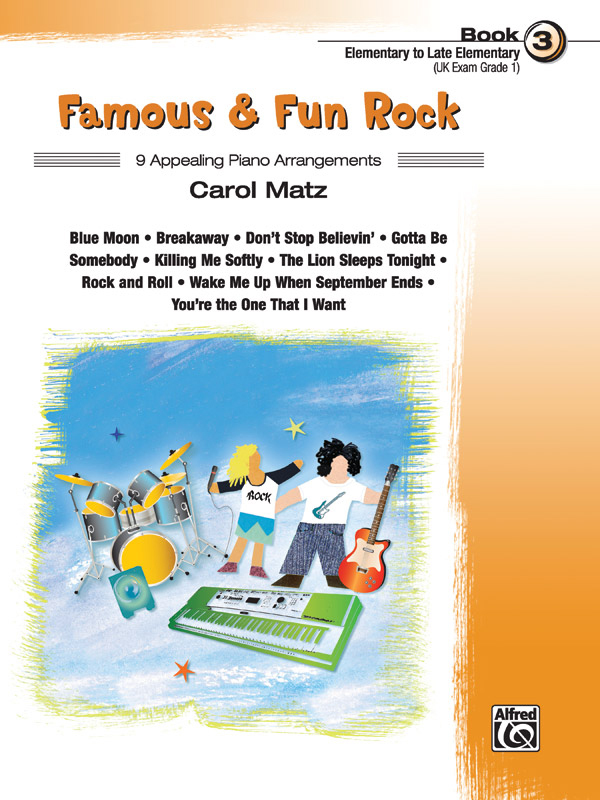 * Famous & Fun Rock, Book 3 is a collection of appealing arrangements of familiar songs that students are sure to know and love. * Written at the elementary / late elementary level, it may be used as a supplement to any method. * Titles: Blue Moon, Breakaway, Don't Stop Believin', Gotta Be Somebody, Killing Me Softly, The Lion Sleeps Tonight, Rock and Roll, Wake Me Up When September Ends, You're the One That I Want.